Mixed crystal Christmas packs. Assorted suncatcher pendants and beads in Christmas colours. Make your own Christmas suncatchers this festive season. 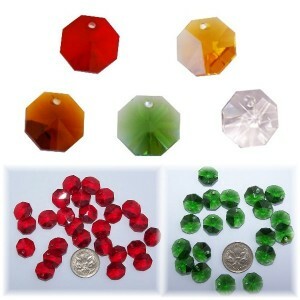 A-GRADE CRYSTAL OCTAGON Christmas pack Size - 14mm Colours- 20 of each, red, green, cl..